Outfitted with a Liftgate, this big guy is ready for any disaster. This 16' box truck is outfitted to handle all of your needs. 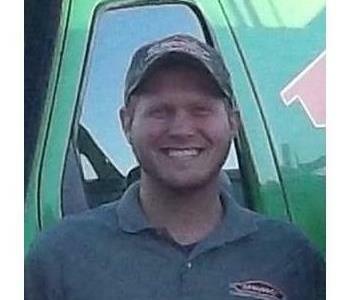 Andrew was hired as a Production Manager here at SERVPRO of Woodbury/Depford. He has several years of management experience. He has earned multiple certifications from the Institute of Inspection Cleaning and Restoration Certification also known as the IICRC. He is certified in Water Damage Restration (WRT), Fire & Smoke Restoration (FSRT), Applied Structural Drying (ASD) and Applied Microbial Remediation (AMRT).